It would be conceivable for Canyon Birch to rest on his laurels, and those are laurels are particularly impressive. The Leading Edge 2019 and Manasquan senior left an indelible stamp on the state of New Jersey's record books last year, pairing 123 goals with 52 assists for a ridiculous, mind-boggling 175-point campaign that broke the state single-season points record. That'd be enough for some people, but Birch, ranked the No. 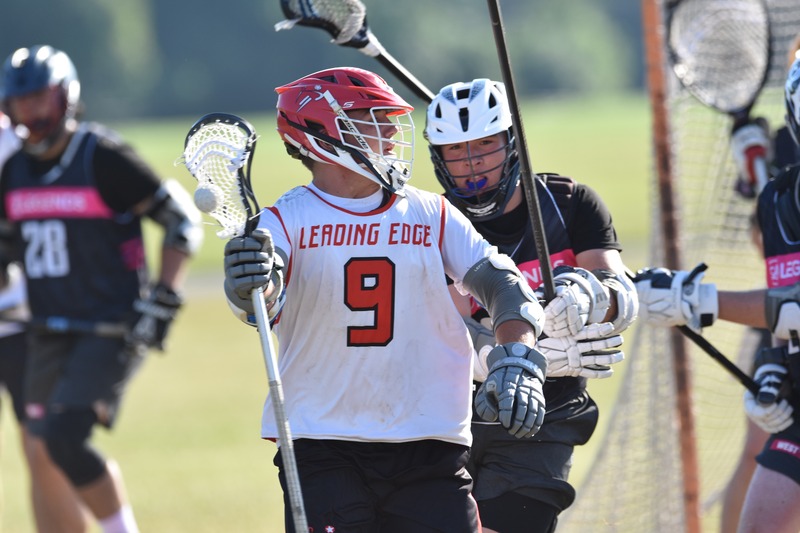 15 2019 prospect in the country by Inside Lacrosse, well, he isn't most people. Far from it. "I've been taking 130 shots every time I shoot this offseason," Birch said. "(Montclair State head coach) Matt Poskay holds the goal-scoring record with 129 in a season, so I try to do one more than him. I'm looking to get 211 points this year to get to the 600-point mark and set every record in New Jersey. I just try to outwork everyone around here." Poskay's not a bad guy to be chasing. The two-time All-American at Virginia and the 2010 Major League Lacrosse MVP carved out an impressive career for himself, but after this spring, Birch might be the one with all of the records. Today, he secured an even more important goal of his as he announced his commitment to continue his lacrosse career at Penn State. "Penn State has everything to offer, and you can't go wrong there," Birch said. "It's a phenomenal lacrosse program with a great football team, too. I also play football, and even though I'm not going to play at Penn State, I still wanted to be around a big football school. I plan to be a finance major, too, and the finance program there is phenomenal. The coaching staff treated me very, very well, which was definitely a plus, because I looked at the staff as a big part of my decision." It wasn't always about the Nittany Lions, though. Birch opted against his first visit to State College because he wasn't sure about the school, but once he got more input from people he trusted, he thought that it might be an ideal fit for him. Sure enough, it didn't take long on his visit before he envisioned himself wearing blue and white for the next four years. "It's a big school with 40,000 students and I want to be around that big-school atmosphere," Birch said. "No other school provides everything that Penn State does, and once I started the tour, I had a gut feeling that I should be there. Knowing a lot about the school also gave me a better understanding of what it's all about." What it's all about to Birch is a program on the upswing with a chance to compete for postseason championships - plural - and an attackman-friendly offense that he's excited to be a part of. All-Big Ten standouts Grant Ament and Mac O'Keefe should both return next season as seniors, and Birch aims to be a part of that explosive group that will keep goalies on edge. "Ament is a great all-around player and O'Keefe is an awesome spot shooter, so being able to learn from those guys for a year will be huge. I'm hoping they can pass down their knowledge to me," Birch said. "That was another great thing about Penn State. They play in the Big Ten, and playing the highest competition is definitely something that I wanted to do. I think we're going to compete for the Big Ten and national titles every year because of the talent stockpile going on. All of the classes are loaded." Adding a player of Birch's caliber lends credibility to the statement, too. 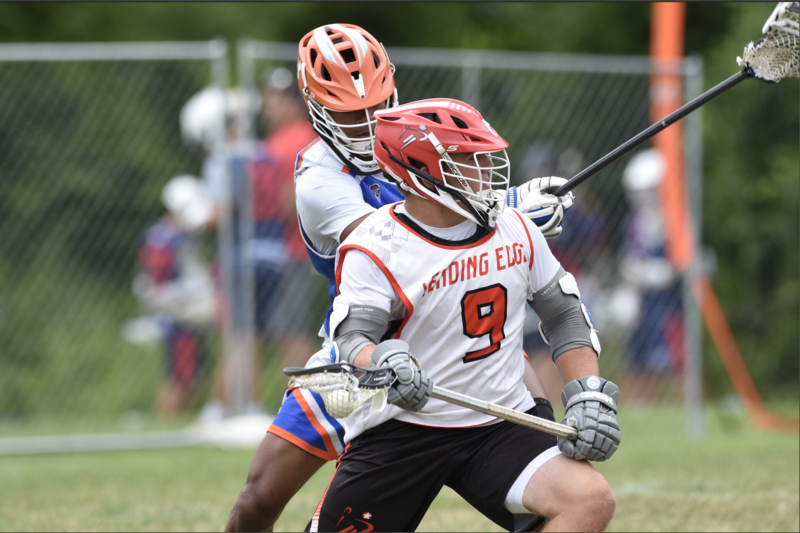 He's got all the skills to be a dominant college attackman and the right mindset to get there. He wants to improve on his left hand and his feeding ability, but for a guy who racked up insane stats, he's humble enough to help those around him, too. "I try to be a better team player and get the other guys involved," Birch said. "I want to mentor younger players, too, and be the best team player I can be. Last year, we really got into a good groove as a team, and the other attackmen, Casey Mulligan and Ryan Anderson, were always finding me open. They're both able to spot feed the ball so well, and it always left me a little more open." Birch joined the Leading Edge crew midway through his high school club career, and it was obvious from the start that he was a special player. Leading Edge director Chris Roy saw the talent, and he saw Birch's ability to elevate the play of those around him. "Canyon is an unbelievable player with a knack for putting the ball in the net," Roy said. "He's comfortable with the ball in his stick pretty much anywhere on the field, and this past summer, he made a concerted effort to involve his teammates even more, which, in turn, made him even more dangerous. He's worked extremely hard to put himself in this position, and we're so excited that he was able to find a spot at an exceptional program like Penn State as a senior. Coach (Jeff) Tambroni got an excellent player and a great person, and we can't wait to see what Canyon does as a Nittany Lion."